During the latter parts of the Middle Ages, philosophical culture was very much part of the religious life of Jewish communities. Many medieval Jewish people aimed for a philosophical approach to their daily lives, and this included reciting prayers based on philosophy. 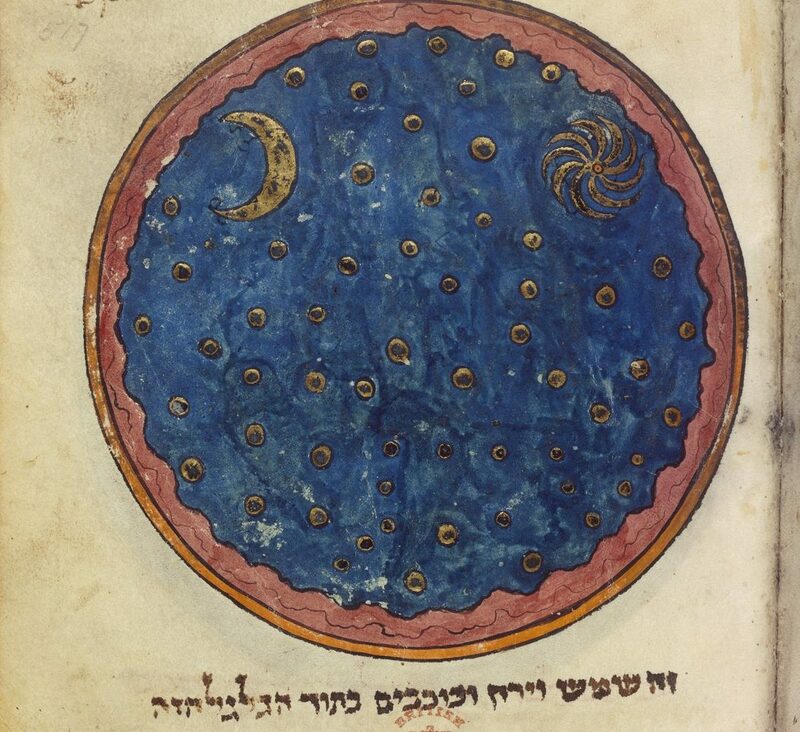 A recent article by Y. Tzvi Langermann examines medieval Jewish philosophical prayers, of which their is a wide collection. Many can be found in the Codex Parma De Rossi 997, better known as the Parma Codex, which was written in the Byzantine world during the 15th century. It contains prayers attributed to many prominent medieval Jewish thinkers, as well as to figures from ancient times, such as Socrates and Hippocrates. “I define philosophical prayer,” Langermann explains, “or the prayer of the philosophers, by its content. Philosophical prayer addresses a being recognized and revered by philosophers, for example the Cause of Causes. Prayers that express wonder over cosmic structures and processes described in philosophical text should also be regarded as exemplars of philosophical prayer.” These prayers may have said in a synagogue or in private. I beseech You, for the sake of Your eternity in everlastingness and Your unity, that You protect me and rescue me from the darkness of ignorance that seethes in this world. Draw me to the clear light that issues forth from You, and I will take refuge in you. Make my share, for the sake of Your name, the share of the supernal secrets. It is the domicile of the pious and God-fearing. Alas, woe is me, for I have kept silent and not thanked You for all the good that You have done for me. How bitter for me, how very sorry I am for my fleeting heart, for I have not understood that You lead me to high and lofty beliefs. Please, God, have me attain them! Support my intellect until You guide me and take me to the source of sources; it is the fountain of life and the eternity of eternities. Please, God, save me from the cesspools of difficult times, and from the circumstances of the moments, one upon the other; that I may have no need for, or any attraction towards, the vanities of the world, chasing after bodily lusts. Have me attain knowledge of the supernal knowledge, which is knowledge of the separate letters, so that my end may not be among the letters that are like one another in the lower world, as well as the ever-changing forms that pass on without remaining. You are witness to everything, rule over all and everything, and are capable of everything. Y. Tzvi Langermann’s article, “A Collection of Jewish Philosphical Prayers,” appears in Regional Identities and Cultures of Medieval Jews, edited by Javier Castano, Talya Fishman and Ephraim Kanarfogel, which was published by the Littman Library of Jewish Civilization in 2018. Click here to buy this book on Amazon.com. Y. Tzvi Langermann is a faculty member at Bar-Ilan University. Click here to visit his Academia.edu page, or see him on his Youtube page.